There are thousands of ways to make money online and the opportunities on the web are so numerous yet most people struggle to make any money from the internet. This has led to a belief in growing number of people who think it is just too hard to make money online from home. The reality is that it is easy to make money online if you know how, and if you are willing to put in the work. So, here are 20 best tips to make money online. Blogging mainly comprises of writing, publishing posts and maintaining the blog. One of the surest ways to make passive income online is to create a website or blog. You may need to invest in a web host if you get serious about blogging, but there are free hosting sites that will allow you to use this money making opportunity as well. You can also read my article on how to start a blog successfully and make money. You can also make money from advertisements like Google AdSense. Your visitors must click on one of the advertising links. In addition to ad revenue, you can also advertise on your site with affiliate partners who will pay you when one of your visitors clicks on the link and signs up for the advertiser services. You will only get paid by the affiliate if a transaction is completed. You can also read my article on how to activate Google AdSense and make money. There are sites that can help you make anywhere from pocket change to a full income. These are free to join paid survey sites, where you take surveys for a small payback. If you get other members to join under you then you will get a percentage of their earnings too. This is how you make real money. Some people have reported verifiable earning of around $1800 dollars per month by doing online surveys. A lot of companies including Google pay you for installing their apps. Moreover, you get paid for each month. The apps are installed on your phone and some of these sites include shop tracker and mobile expressions as well. You can turn this into an opportunity to earn an income and you can do it by writing reviews for various products and getting paid for it. Posting and writing a review can earn you anywhere between $5 to $50 dollars per review based on the requirements. Every review can give you some special invitations and you can earn even more. Testing websites involve visiting a specific website and performing an exact function on the website. While you are performing the task, your screen is being recorded to track your mouse movement and clicks and also your voice is recorded as you verbalize your steps on the website. 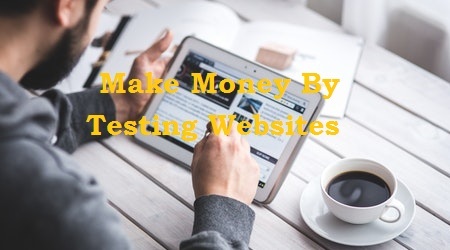 You can earn about $10 dollars for about 10 to 20 minutes of testing a website. This involves earning free cash and gift cards for things you do online every day. Ebates gives you a $10 dollar gift card when you signup and earn your first cashback refund. It is great for online shoppers. You can redeem your points for gift cards to your favorite stores such as Amazon and Walmart or redeem your points for cash through PayPal. 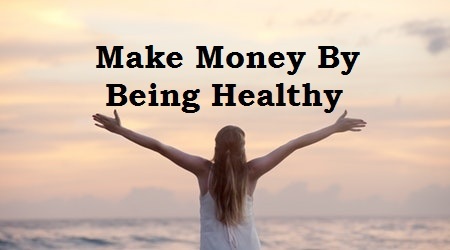 Being healthy already has so many benefits but yes, you can also get paid for being healthy. The health app achievement gives you points for being healthy and doing things like walking, tracking your food or taking health surveys. You can earn points which can be redeemed for cash or Amazon gift cards. For every 10,000 points, you earn $10 dollars and there is no limit on your earnings. Freelancing is a time-honored way for writers and graphics designers to make money online. It is not uncommon for administrative assistants, accountants, computer programmers and other professionals to also find freelance opportunities. Look at niche job sites such as Upwork, guru and Fiverr. If you are a super speedy typist and have a good ear and write well then you work as a Transcribers. Transcribers provide closed captioning for films and TV shows and write transcripts for academic presentations and focus groups. A virtual assistant is a self-employed who provides professional and administrative help or technical assistance to people from the comfort of working at home. Becoming a virtual assistant can be a life-changing experience if you have strong administrative skills, organized, capable of working with deadlines and if you like to run a business from home. Virtual assistants can do everything, right from checking emails and making travel plans to handling internet research or working for their small business. High-end earners can get $30 to $100 an hour. Some reputable sites for virtual assistants are searchable at Upwork, Fiverr or PeoplePerHour. Tutoring services is a centralized academic online support service consisting of peer-facilitated learning experiences for undergraduates interested in requesting or becoming a tutor for students. You can choose your own schedule if you have some other tasks or works or go for online tutoring and earn up to $50 dollars. Pizza is a yeasted flatbread topped with tomato sauce, cheese, and other items all bakes in an oven. Many companies pay for rating local pizza shops, you just have to get a login for trend source to rate the place on the quality of their pizza and note the delivery time. For this, you can get $5 for rating a pizza. Have you heard about Amazon Mechanical Turk.? Unlike other online sites that look for contract help. This service is easy to complete tasks with by anyone on the computer. These are services that require human interaction. You can work from home, have flexible hours and get paid by one of the world’s largest retailers. This involves the online selling of your lesson plans, especially to new teachers. Teachers pay teacher is a marketplace for educators where you can sell and share your teaching resources. Maintaining social media accounts you can earn more money and will get the opportunities on social media than you ever realize or known. Maintaining social media accounts like Facebook, Twitter, and LinkedIn. In fact, this can be a quite lucrative and high paying. Facebook fan pages are the biggest source of earning money online. You can rapidly earn with Facebook fan pages, likes, and groups. You can also sell products on your fan page and earn money as an affiliate marketer. Hence, you can earn money by promoting other people’s products on your page. 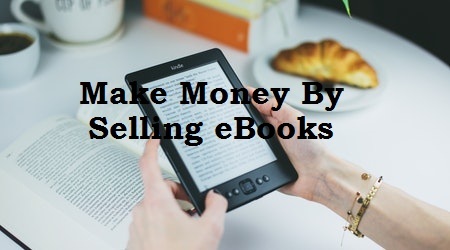 If you enjoy writing, then publishing your eBook can be a great way to earn money. The marketing of eBooks generates more online sales. Websites like Amazon, Barnes and Nobles and Kobo all have self-publishing services which mean getting your eBook published is not as difficult as you might think. In fact, it is really easy and simple. It is no secret that downloadable audiobook sales have exploded on the web. Audiobooks could overtake printed books as a top-selling product line on the web. Selling audiobooks are lucrative because you can earn $50 to $500 dollars per month. Selling an app has never been simple as before. You can start an app auction for $9 dollars in Flippa and reach out to a niche audience of motivated international app buyers in minutes. Selling apps online can warn you money monthly and your income will depend on the feature of your app. These days there is plenty of free online marketplaces available and an online form is not all that difficult to start. Once you have managed to get an active community together, you can quickly begin earning money by selling your stuff and the workload is not all that great. Many online companies recruit virtual call center agents, call center managers and human resource professional to work at home as well. As a few technical jobs, virtual call center agents are the largest segment of home-based works. They are employees and may work full time or part time for an hourly wage. 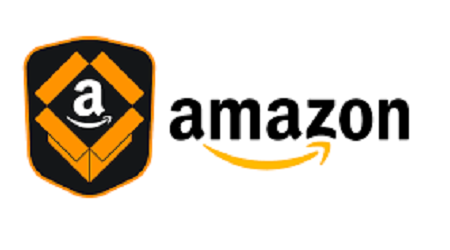 Amazon’s home-based workers are typically employed during the seasonal holiday. By reading the email you can make money online. We all use different email services like Gmail, Hotmail, etc. then why not earn money reading emails. Just reading emails on the internet you can easily make from $150 to $300 per month without doing much. Like Cash4offers.com. 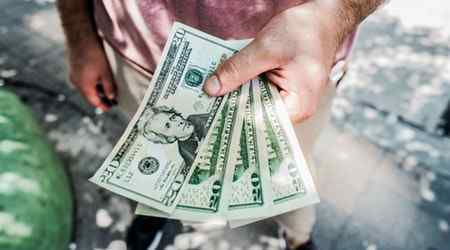 If these Money making tips has helped you to earn money online, then do let me know by commenting on the comment box below and do share so that others can also find these great opportunities to make money online.